Desperate to find a case to justify the team's existence, with budget cuts and a police strike on the horizon, Quill thinks he's struck gold when a cabinet minister is murdered by an assailant who wasn't seen getting in or out of his limo. A second murder, that of the Commissioner of the Metropolitan Police, presents a crime scene with a message... identical to that left by the original Jack the Ripper. The new Ripper seems to have changed the MO of the old completely: he's only killing rich white men. The inquiry into just what this supernatural menace is takes Quill and his team into the corridors of power at Whitehall, to meetings with MI5, or 'the funny people' as the Met call them, and into the London occult underworld. They go undercover to a pub with a regular evening that caters to that clientele, and to an auction of objects of power at the Tate Modern. Catastrophe strikes the capital a second time in The Severed Streets, a solid sequel to a satisfying, if slow starter, but on this occasion, the team is aware of what they're up against... though that isn't to say they're prepared. Or so they think, in their innocence—for though they know that there's more to London than meets the eye, they don't know much... and who in the underworld is going to bring the police up to speed? "So our... our... suspect; it looks like Jack the Ripper, it leaves the Ripper's message—"
"And it kills like Jack the Ripper. The single slash across the neck, followed by multiple incisions in the abdomen, done with some medical precision—that's pretty much the original Ripper's MO. Except that in this case the victims are male." 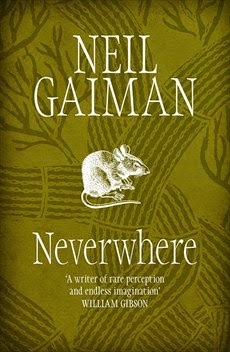 You read that right, readers: the estimable author of Neverwhere serves a pair of purposes as a recurring character in The Severed Streets. 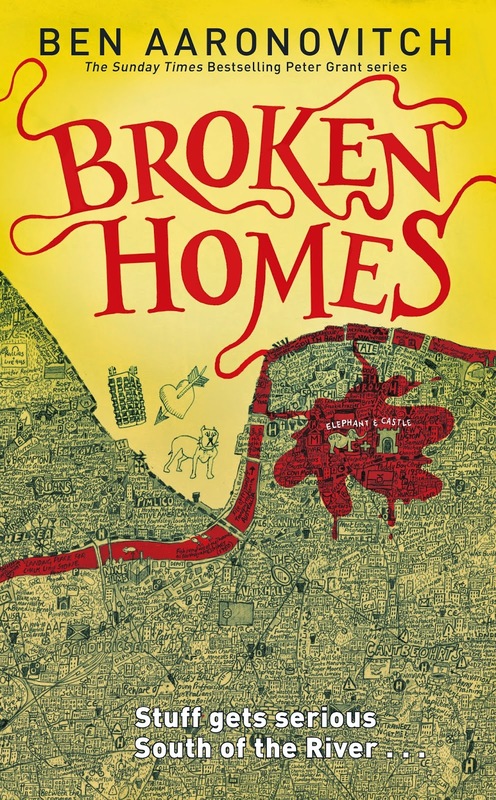 He shares some supernatural London lore with our lot—most notably the strange tale of the Seven Dials—and is, in the interim, Neil Gaiman. Which is neat, initially—cute is how I'd put it—but the novelty wears off when we realise how contrived his role in the actual narrative is, and I fear the arcs of the central characters are only slightly more meaningful. Quill and the Quillettes are likable, largely; the problem is—and perhaps this is down to the procedural nature of these novels—that they're too often reduced to roles. Each stars in his or her own subplot, each of which eventually feeds into The Severed Streets' foremost focus—the hunt for this spirit Ripper—but Cornell could have leveraged these moments more appropriately by developing precious character in his cast members, rather than layering on a little complexity and calling it a day. 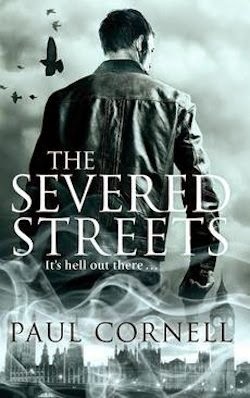 The Severed Streets is substantially more satisfying as a narrative, on the other hand. 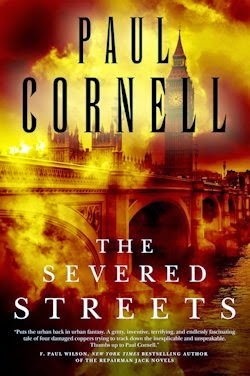 It's far better off the bat than its predecessor, certainly, plus it's perfectly accessible; though returning readers will obviously appreciate the references to earlier events more than newcomers to Cornell's novels, both groups are sure to enjoy the book—if not for its characters then because the going proves gripping regardless. 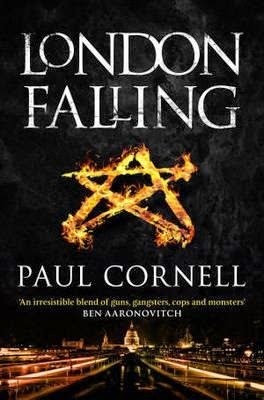 The plot is well paced and the stakes greatly raised; the mood is good and grim, providing a nice counterpoint to Ben Aaronovitch's superficially similar Folly novels; and while the notion of another riff on the Ripper mightn't excite, Cornell's execution of the premise is excellent. The Severed Streets reminded me of a heavy Hellblazer trade before the ruination of The New 52—a reasonable point of comparison considering the territory the two texts tread, not to speak of Paul Cornell's experience in the comic book medium. The spectre of Vertigo's former frontman also reveals what this series really needs: a single character half as compelling as John Constantine.